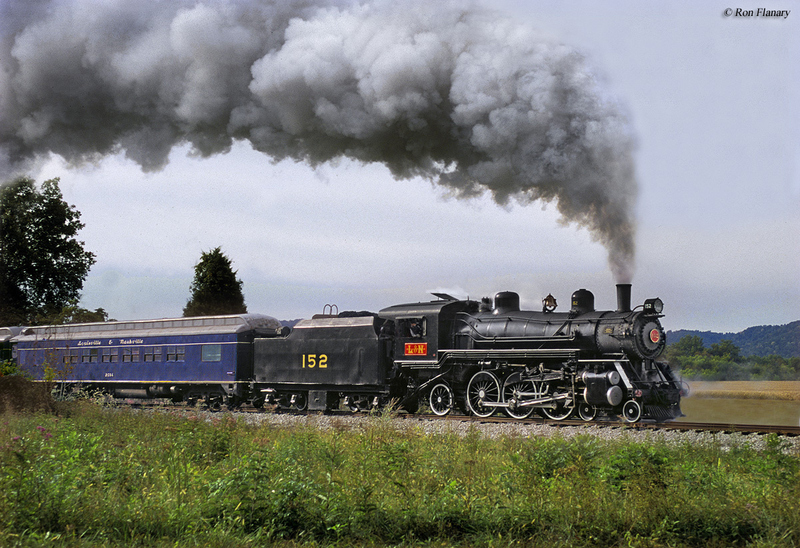 The Pacific Type became one of the most prolific and common steam locomotive designs during the first two decades of the 20th century and was by far the most widely used for passenger service. The 4-6-2's large drivers and high tractive efforts of the time made them ideal for such operations where they could regularly cruise at speeds over 70 mph. Some of the most well-known of this model ever put into service was the Pennsylvania's Class K-4s and Southern's Class Ps4. While widely popular and versatile the Pacific only saw a brief period as main line power for many larger lines. After 1910 trains were getting longer and heavier as railroads continued to grow and demand increased. As a result, larger designs were needed to keep up with the growth resulting in the 4-8-2 Mountain, and later the 4-8-4 Northern. 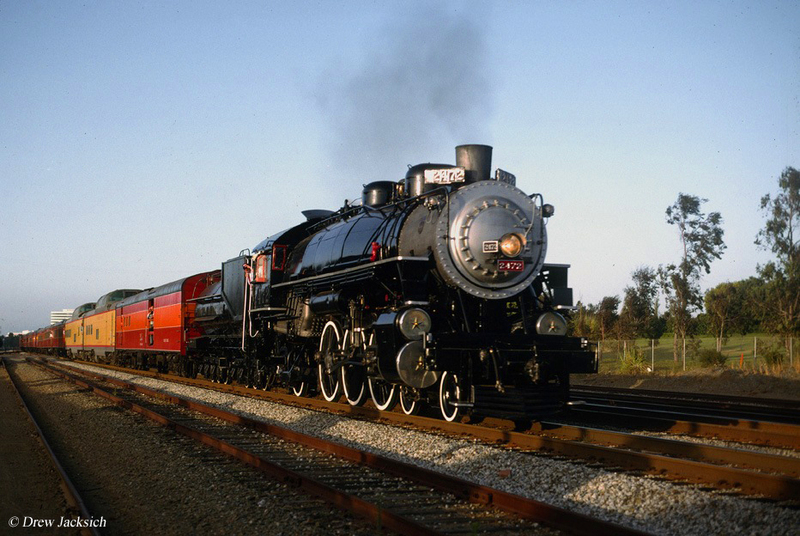 Today, many examples of 4-6-2s remain preserved and several are still operable. The history of the Pacific and which railroad was the first to operate the wheel arrangement is a bit fuzzy although it can be traced over a nearly 15-year period until the first, true 4-6-2 was put into service. As early as 1887 the Lehigh Valley, despite its small size, was again an early pioneer in yet another wheel arrangement, testing out an experimental 4-6-0 with an added trailing axle supporting a larger firebox. Two years later in 1889 the Chicago, Milwaukee & St. Paul Railway (the early Milwaukee Road) tested a similar experimental Ten-wheeler with an added rear axle to spread out the locomotive's weight. However, the first true 4-6-2, which was a combination of improvements to the 4-4-2 Atlantic and Ten-wheeler operated on the Chesapeake & Ohio in 1902. The railroad's hope with the new locomotive, just as was the case with other future designs like the 4-8-2 and 4-8-4, was for increased speed and power in passenger service. The design's two-axle lead pilot truck allowed for improved riding quality while the extra driving axle increased overall speed, tractive effort, as well as provided for a larger boiler which led to added power. Finally, the trailing axle provided for a larger firebox, which meant more steam pressure and ultimately more power as well. 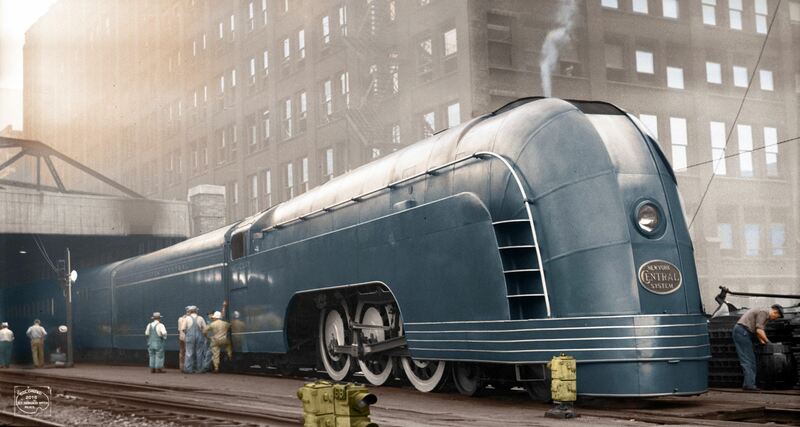 The Pacifics were another of the most aesthetically pleasing designs ever put into service, with or without any significant streamlining. The C&O went on to name theirs, initially, as "Mountains" although this name was later dropped in favor of a much less glorious title of "Ten Wheeler With Trailer." Virtually every well-remembered railroad of the time owned at least one 4-6-2. The Pennsylvania Railroad's Class K-4s, are typically regarded as the most famous (and likely were the best engineered 4-6-2s ever put in service), as they pulled double-duty hauling both passengers and freight trains. The locomotives ability to pull heavy freights was thanks to their larger size (one of the largest ever built) with tractive efforts exceeding 44,000 pounds and a boiler pressure greater than 205 psi (the PRR also owned the most Pacifics of any railroad, rostering well over 500). Other roads would follow the PRR and used some 4-6-2s in freight service as well. In any event, if the Pennsy's were the most powerful Pacifics than the Southern’s Class Ps4 were arguably the most beautiful painted in regal deep, Virginia green with gold trim, and white-wall wheels. With their larger driving wheels the Ps4 locomotives were capable of speeds approaching 80 mph with nearly 1000 tons in tow and regularly cruised the Southern’s Washington to Atlanta main line at nearly 60 mph. While the Southern and Pennsylvania’s 4-6-2s were perhaps the two most celebrated classes there were dozens of others, as nearly 100 different railroads would ultimately roster at least one Pacific. Interestingly, the 4-6-2 design had only been in service for less than 10 years when the much larger, and more powerful, 4-8-2 debuted on the Chesapeake & Ohio in 1910. 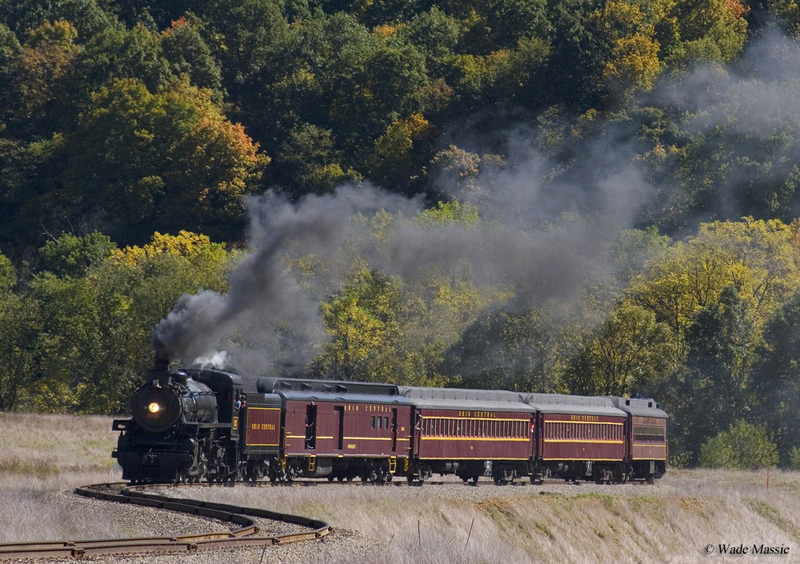 While the Mountain was a technological step up from the Pacific many roads still saw a need for the 4-6-2 whether as primary/secondary power or simply because their lines lay outside most mountainous territory and did not require the bigger 4-8-2 in most circumstances. 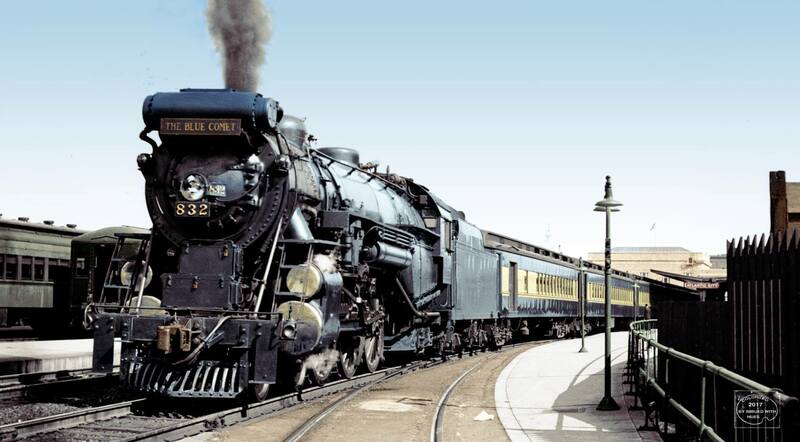 Most Pacifics were built until around 1930 and by that date roughly 6,800 examples had been manufactured for railroads in the United States and Canada. Many of the larger lines rostered more than 100 units alone, most of which were built by Alco and Baldwin with Lima receiving a few orders as well. Also of note were the two classes by the United States Railroad Administration (USRA) during World War I; the 4-6-2A (the light Pacific with 55,000 pounds per driver axle) and 4-6-2B (the heavy Pacific with 60,000 pound per driver axle). While a handful of both examples were built for various roads ultimately few were manufactured.